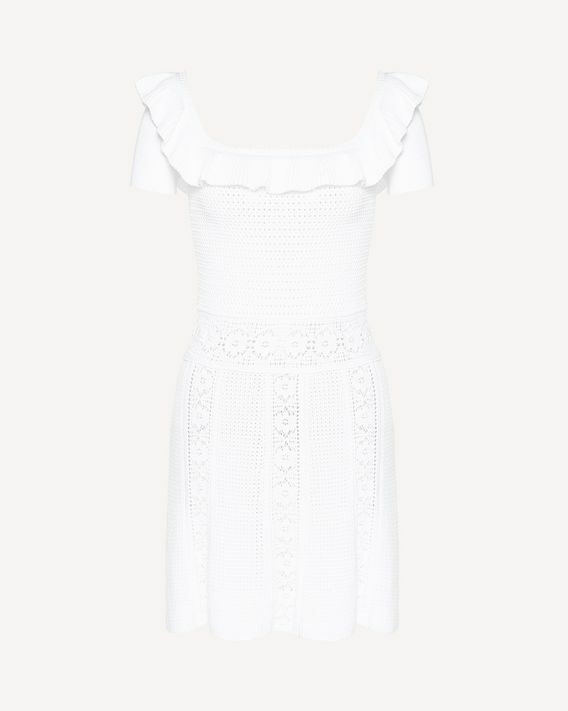 Fit and flare knit dress, in cotton yarn with openwork stitch creating a particular floral motif at the waist and along the skirt. 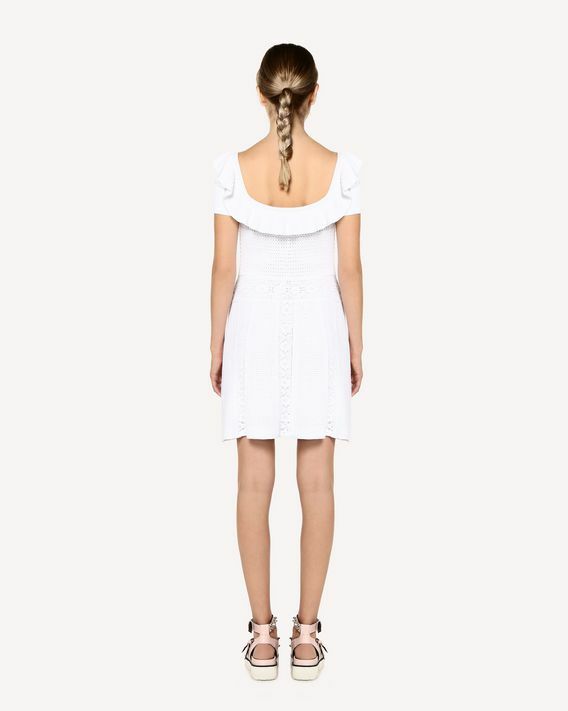 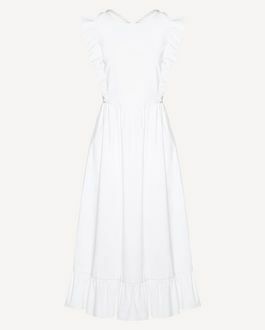 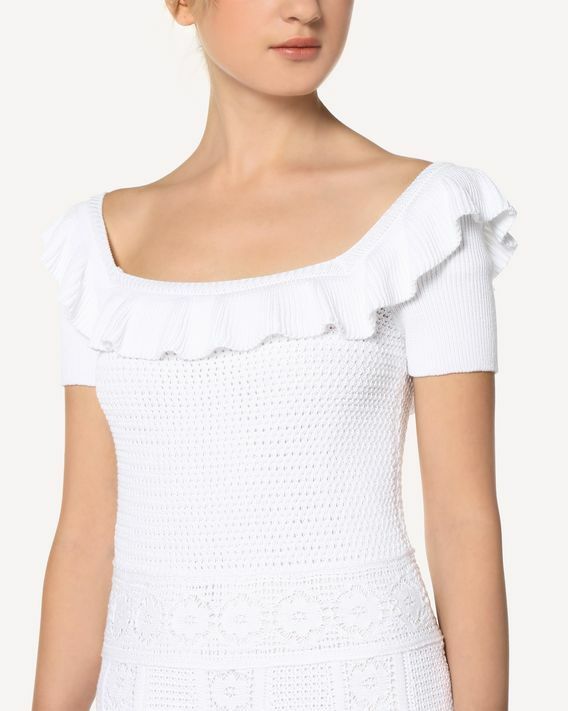 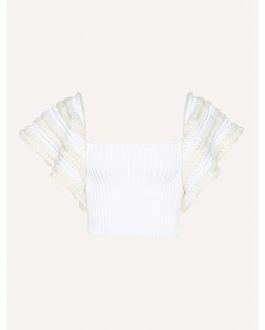 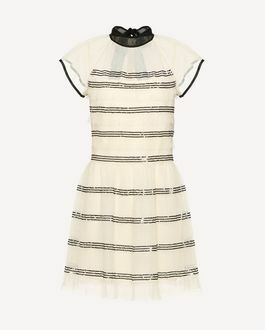 Detailed with a ruffle along the neckline. Can be worn also off the shoulder.